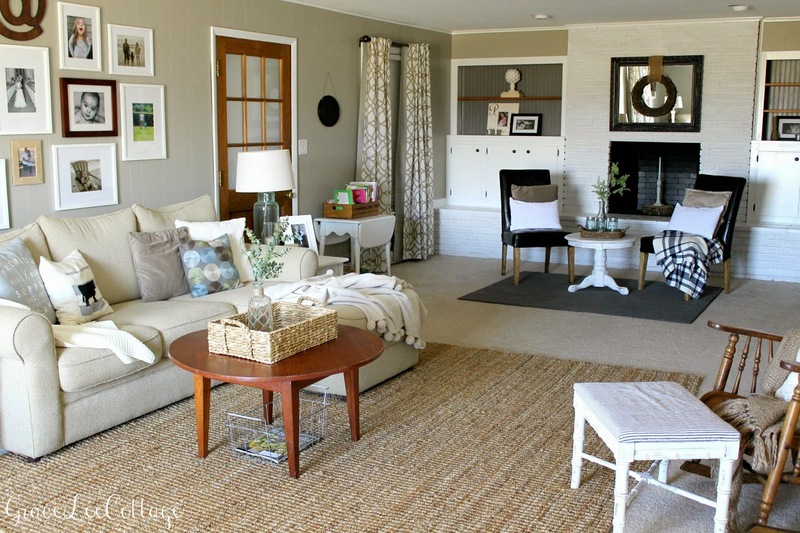 Grace Lee Cottage: Updated Living Room Tour & Source List! Updated Living Room Tour & Source List! 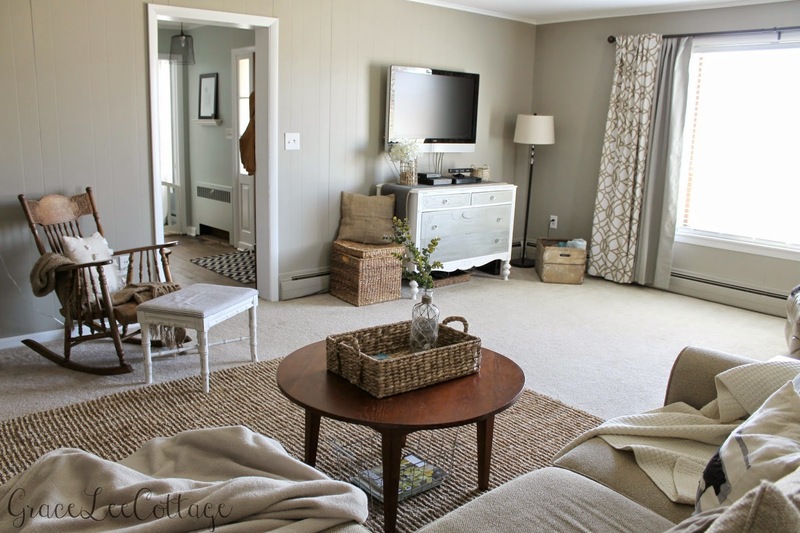 I know it was only a few weeks ago that I shared a tour of our living room at the farmhouse, but I've since made a few changes. 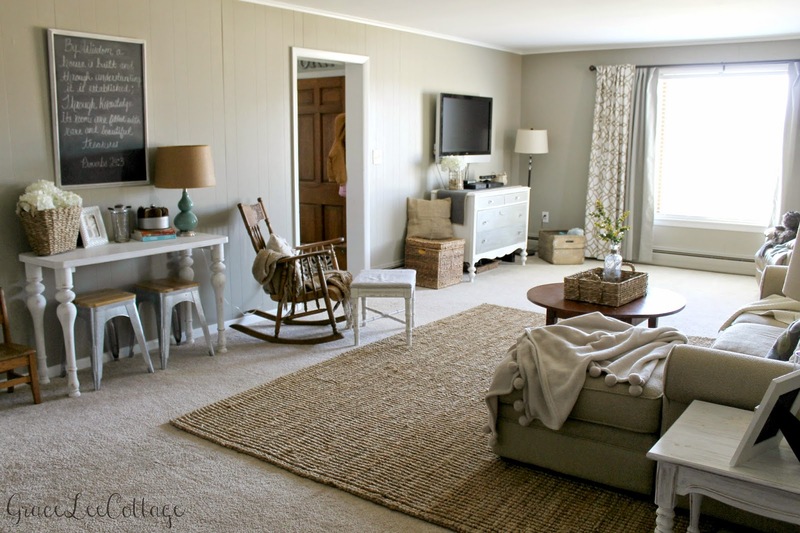 Since moving to the farmhouse I've found myself drawn more to simple and neutral decor. More timeless, less trendy. The biggest change is the new rug I ordered from Overstock. 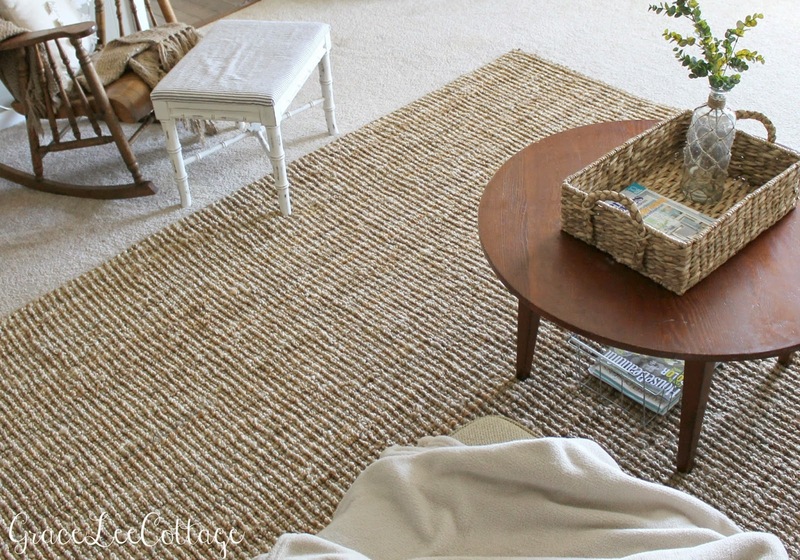 I had my eye on several different jute rugs for our living room and I finally found one I liked at a great price! 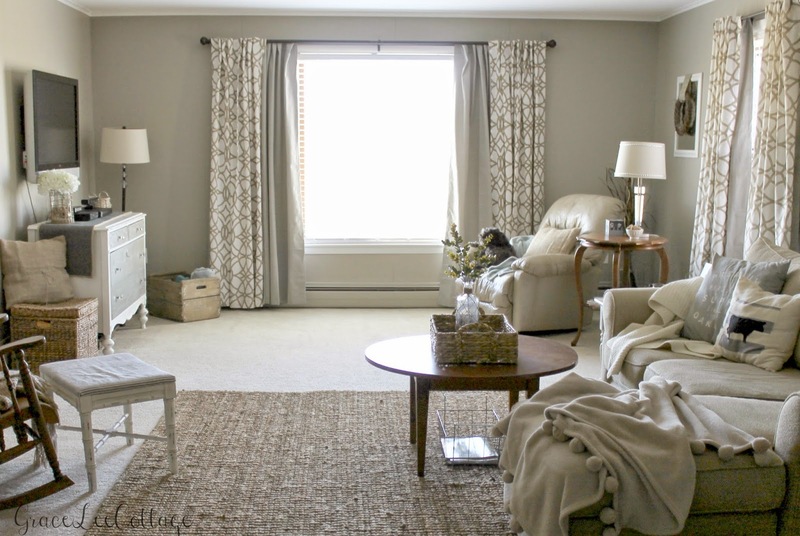 It totally changed the look of the entire space! I switched out our coffee table for this larger one. 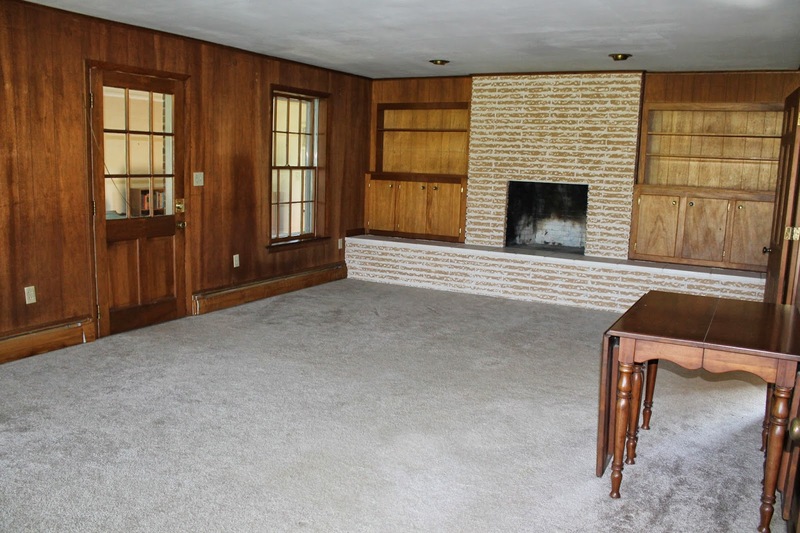 It's actually the kid's table that used to be in the corner near the fireplace. Our previous white one is now on the other side of the room in our sitting area by the fireplace. My husband recently found an old freezer to use in our barn to hold feed. I grabbed the freezer baskets out of it and now they hold magazines in our living room. One of the baskets sits underneath our coffee table. 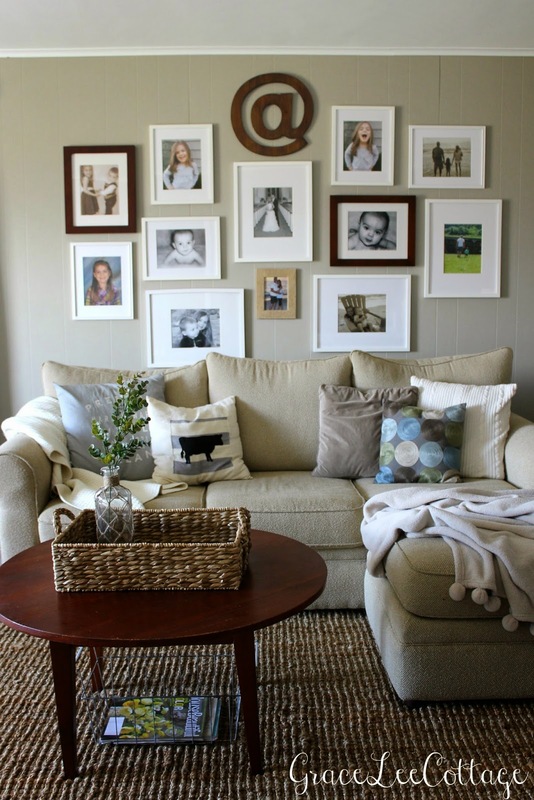 I decided to move the table we had in our foyer to this wall to create more of a light and airy feel. I slid our two Target stools underneath so our kid's can sit here to eat and do crafts. 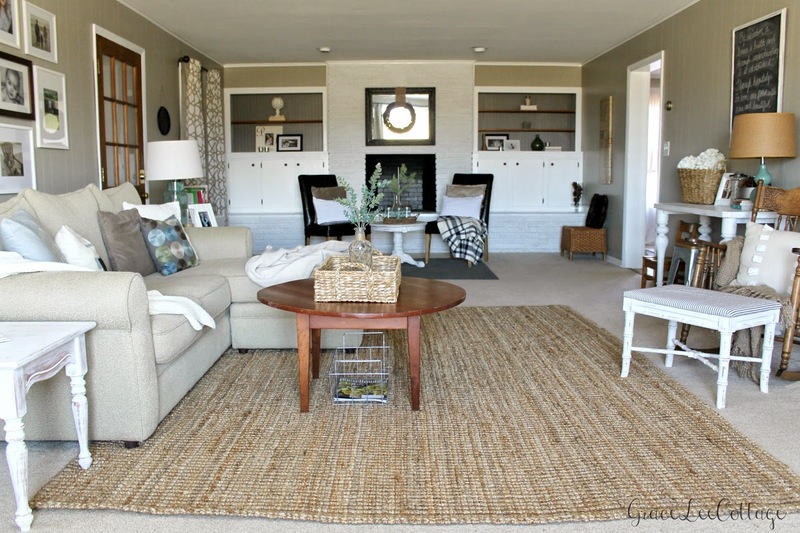 We spend a lot of time in our living room so creating functional zones was key. 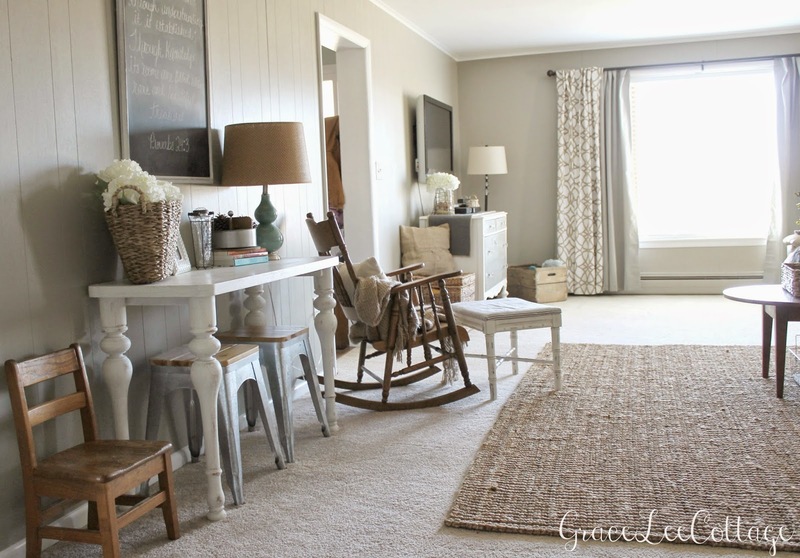 I switched out the wicker chair and ottoman for this antique rocker that was passed down to us from my husband's grandmother, and the vintage white bench I recently blogged about here. The opposite side of the room is where our small sitting area is located. You can read more details about that space here. The little white antique table holds a crate full of our children's books. The doorway you see below leads to our kitchen. And this doorway leads to our foyer. 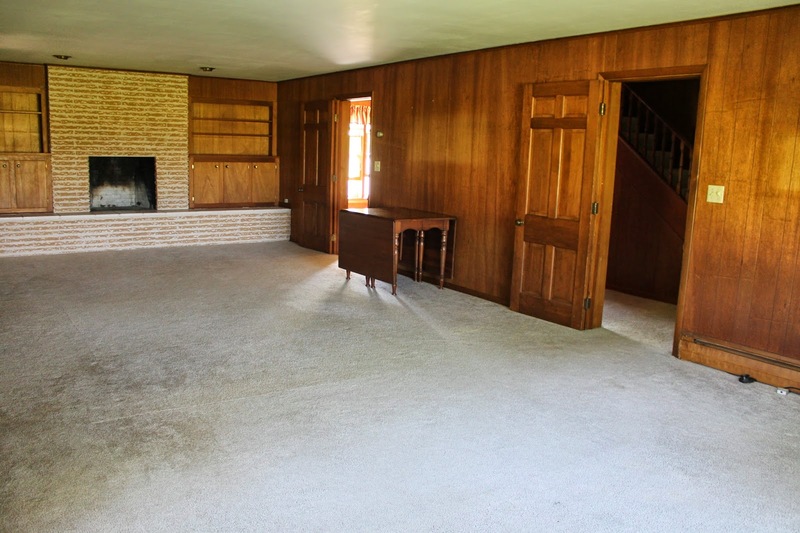 I always think it's fun to see before and after photos, so here is a look back at what our living room looked like when we first closed on our property compared to what it looks like today. 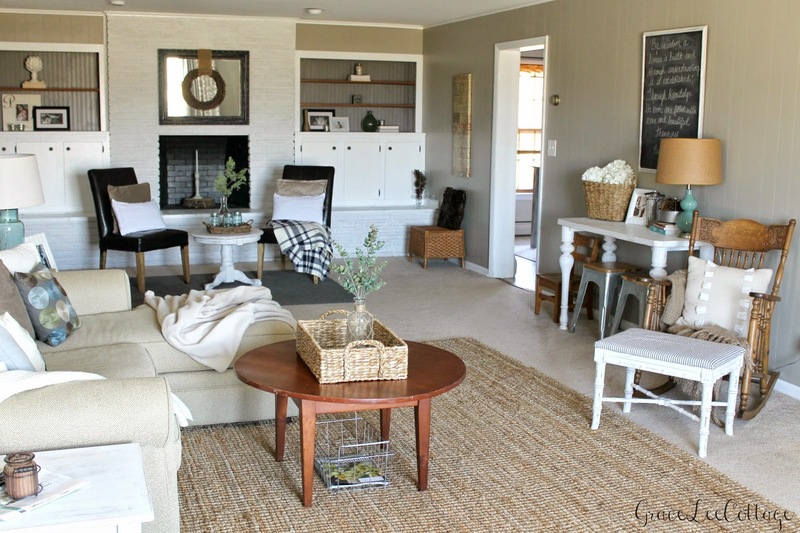 That wraps up the updated tour of our farmhouse living room! I'm sharing a full source list below! Dresser under TV - handed down to us. I shared how I painted it here. White end tables - old tables I made over. Read about them here. White console table - passed down to us, I painted it white with chalk paint. 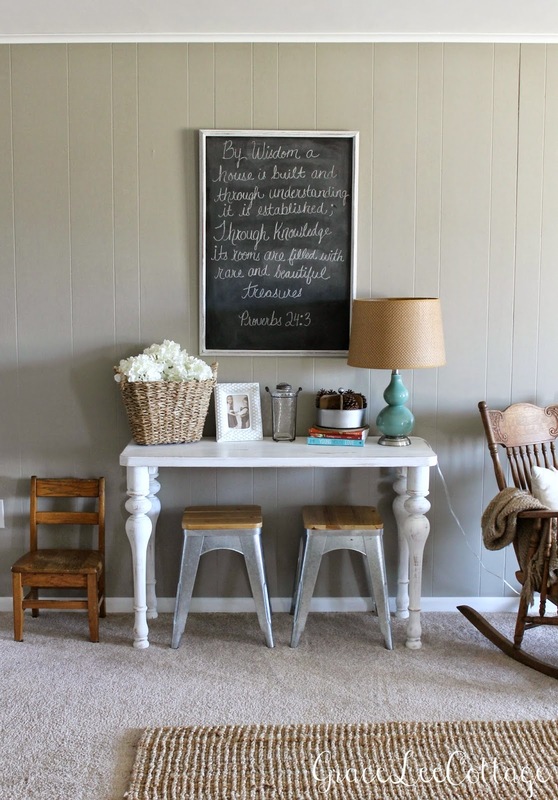 Large Chalkboard sign - DIY project, read about it here. White bench - read about it here. White round table - yard sale find that I made over here. Wow the before and after is amazing! 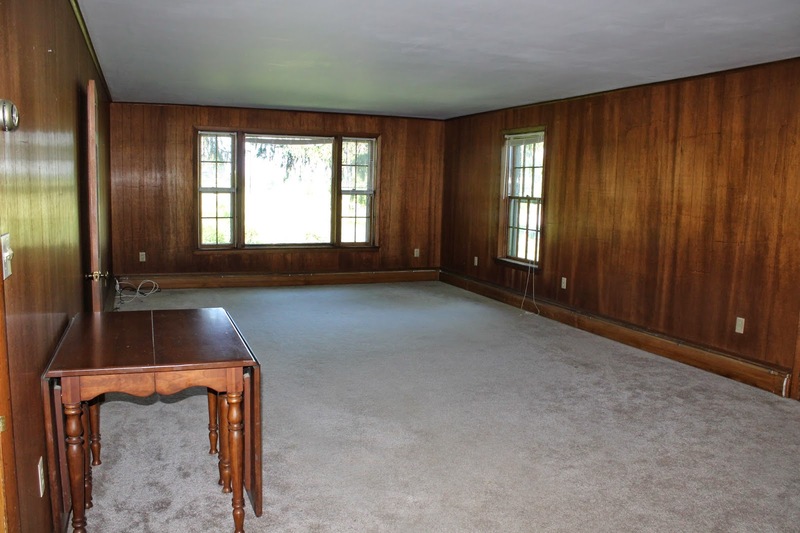 It doesn't even look like the same room. I love how bright and comfortable the room is now. You did a great job! 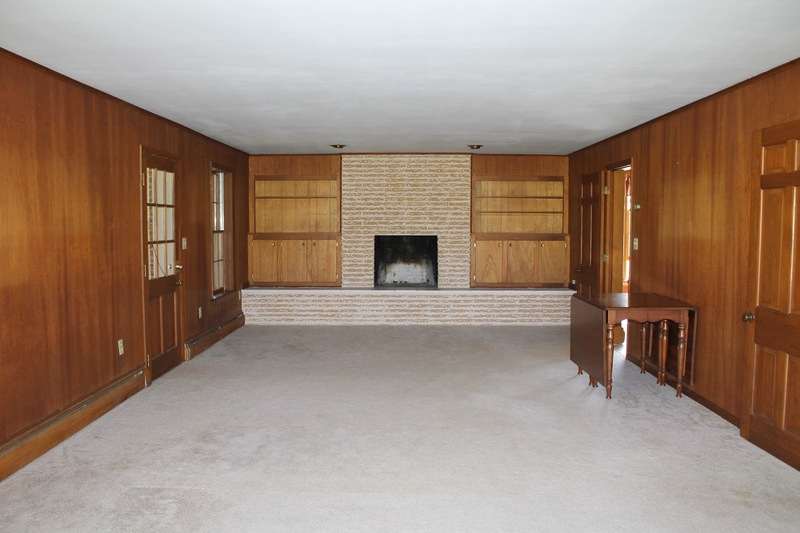 Pinning this for ideas for my family room.